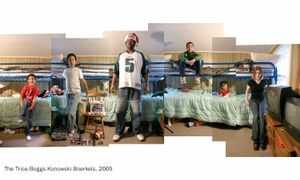 This is a body of work about the ritual of representation of the family in our culture. 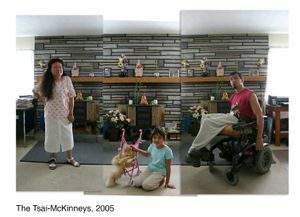 While actual families were photographed, the main concerns are with circumventing learned behaviors for the camera, revealing the deliberate construction of reality that is inherent in all portraiture and considering just what is a family in 21st century America. 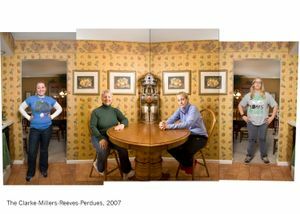 Family portraits are rarely meant for public viewing. 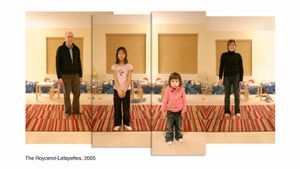 They are usually made as documents to prove that the parents are doing a good job at meeting cultural expectations and tend to tell us very little about the inner workings of the family depicted. In fact, personalities are often subverted for the illusion of group harmony. 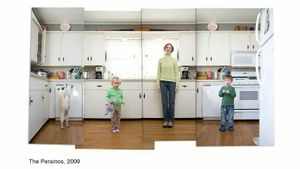 Like with almost everything we do there is a learned appropriate behavior for the family portrait. Old rivalries are buried, hierarchies are hidden, individuality is toned down and any disunity is plastered over with a smile. 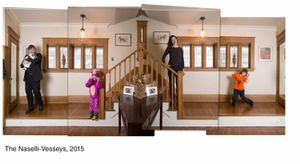 In my portraits, everyone is photographed separately, usually in the same place, and then edited together in a sequence that elongates the room and turns the familiar into the unfamiliar. Cues abound that these images are not to read in the traditional way. The heavy hand of the artist is apparent. 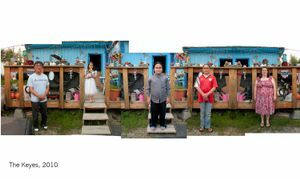 Family members find themselves awkwardly not knowing how to pose individually for a group image. 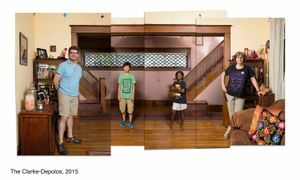 The end result is a more motley collection of individuals linked by genetics and/or responsibility in one structure, which is, if not more honest, at least a fresh approach to the genre. 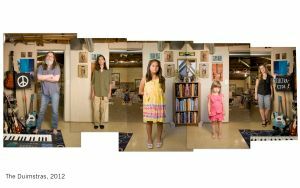 What I have learned from creating over a hundred of these portraits is that families come in all sizes, colors, fragments and recombinations. They are not defined by narrow political ideology or traditional formatting. 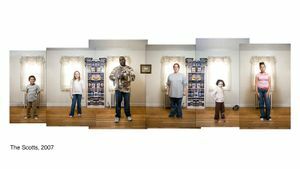 These portraits show the dreams, scars, narratives, hopes, advantages and challenges that define the diversity of families across our nation today.